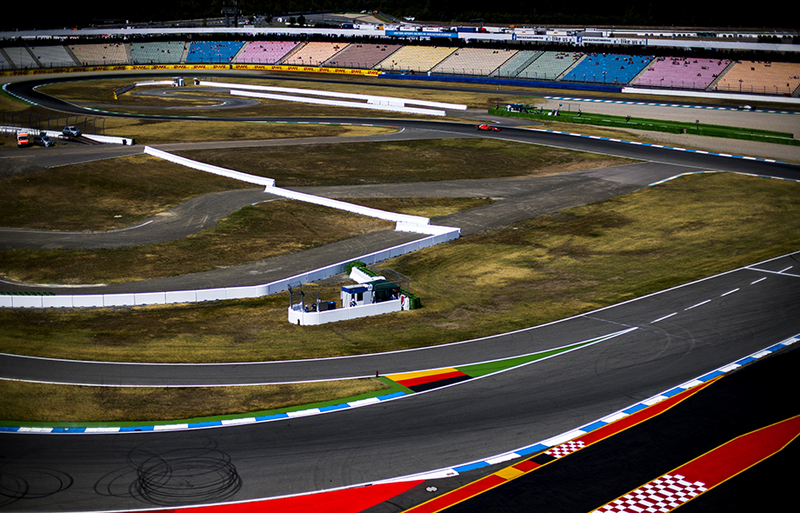 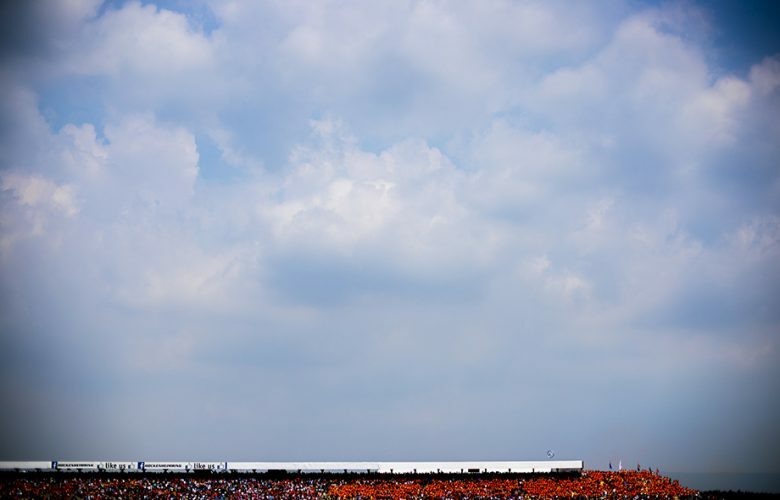 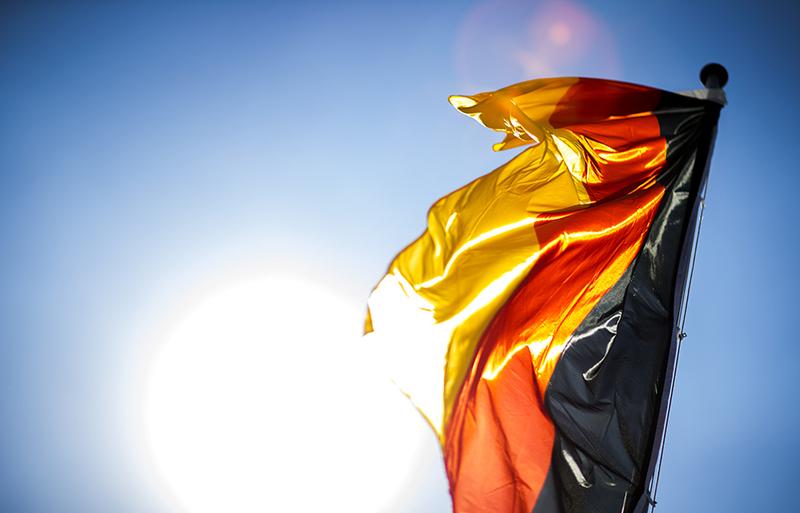 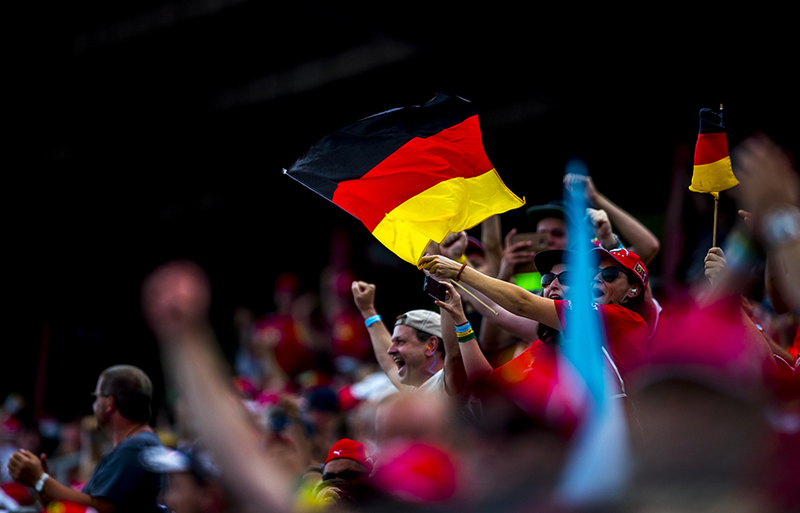 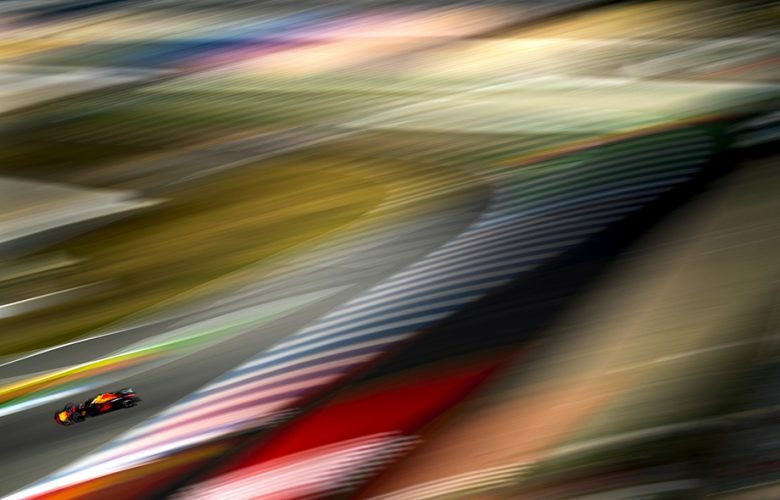 German flag is pictured during previews for the German Formula One Grand Prix at Hockenheimring on July 19, 2018 in Hockenheim, Germany. 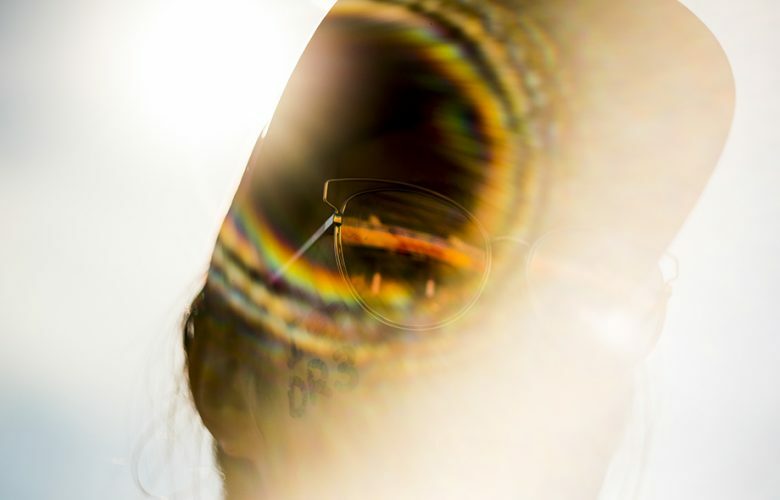 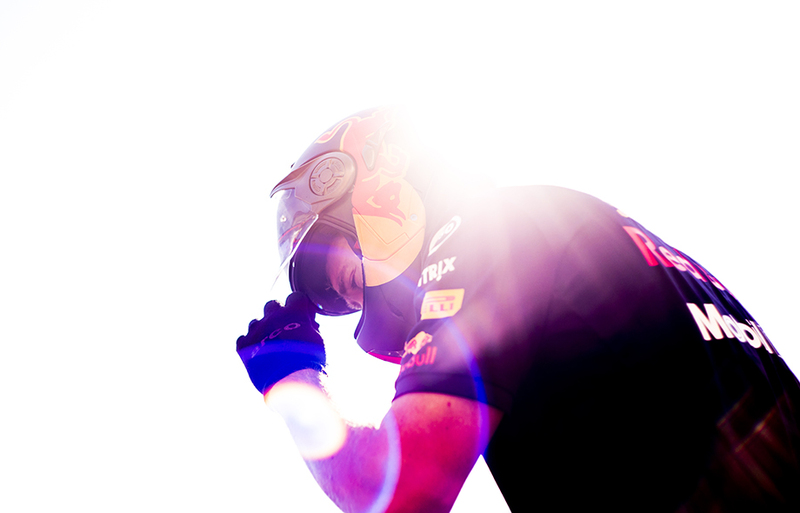 A Daniel Ricciardo fan is seen during previews for the German Formula One Grand Prix at Hockenheimring on July 19, 2018 in Hockenheim, Germany. 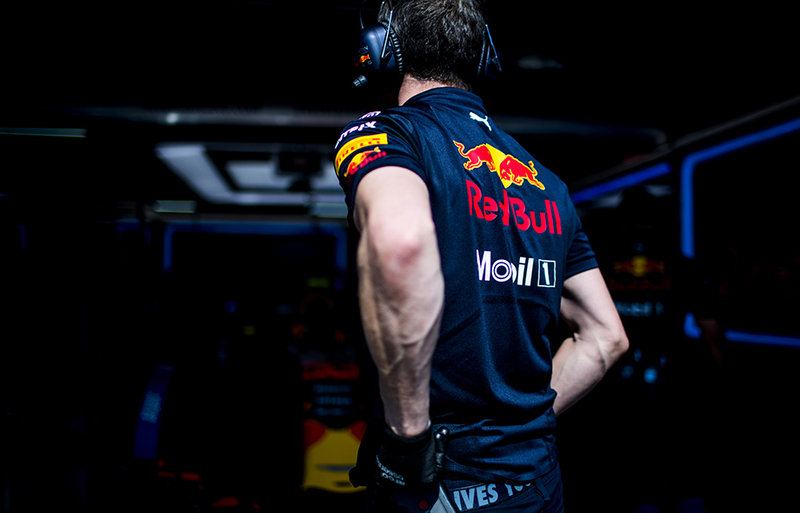 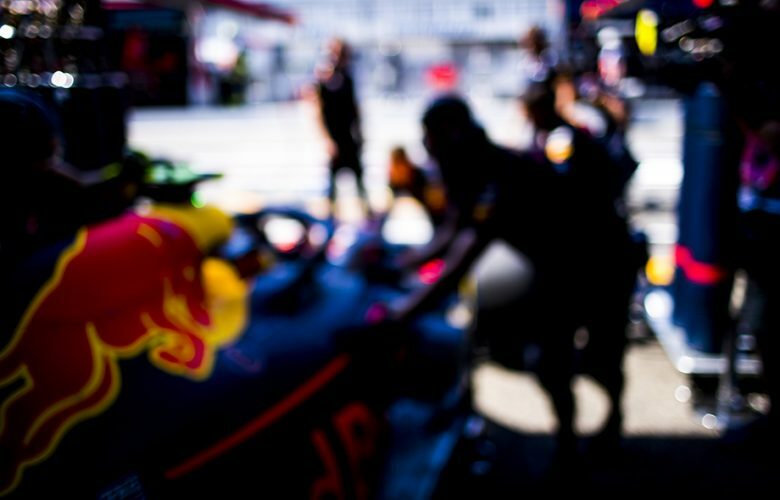 Aston Martin Red Bull Racing mechanics at a pitstop training during previews for the German Formula One Grand Prix at Hockenheimring on July 19, 2018 in Hockenheim, Germany. 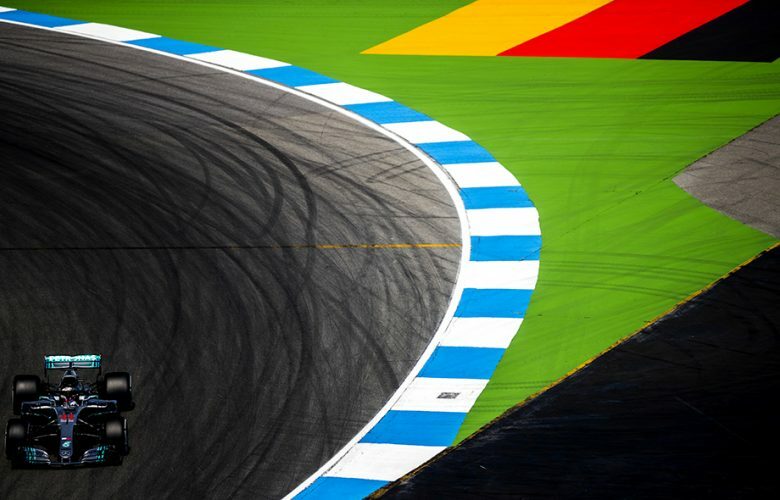 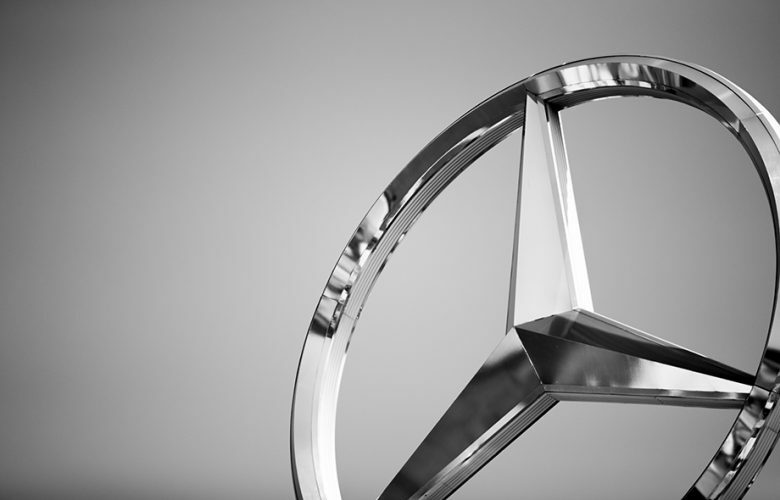 Silberpfeil, the Mercedes logo is pictured at the top of the track building during practice for the German Formula One Grand Prix at Hockenheimring on July 20, 2018 in Hockenheim, Germany. 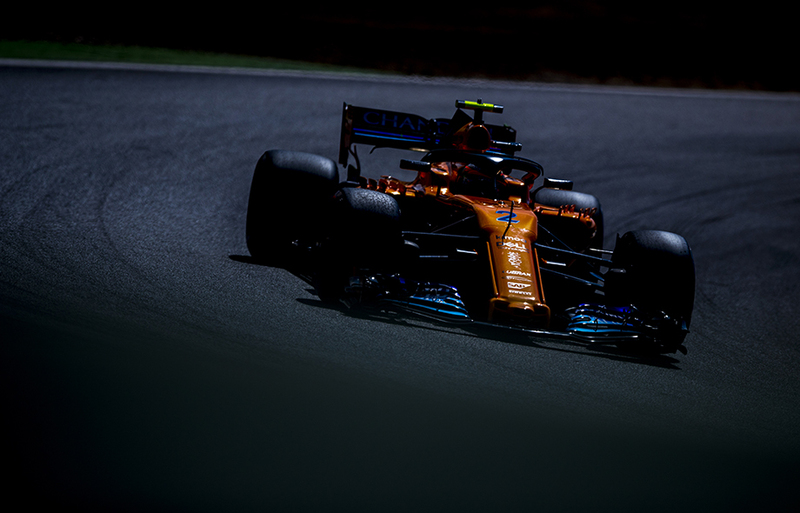 Stoffel Vandoorne of Belgium and McLaren drives his MCL33 during practice for the German Formula One Grand Prix at Hockenheimring on July 20, 2018 in Hockenheim, Germany. 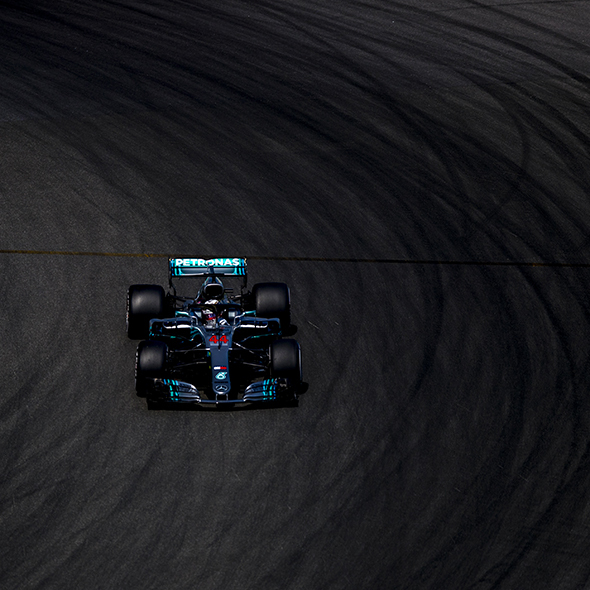 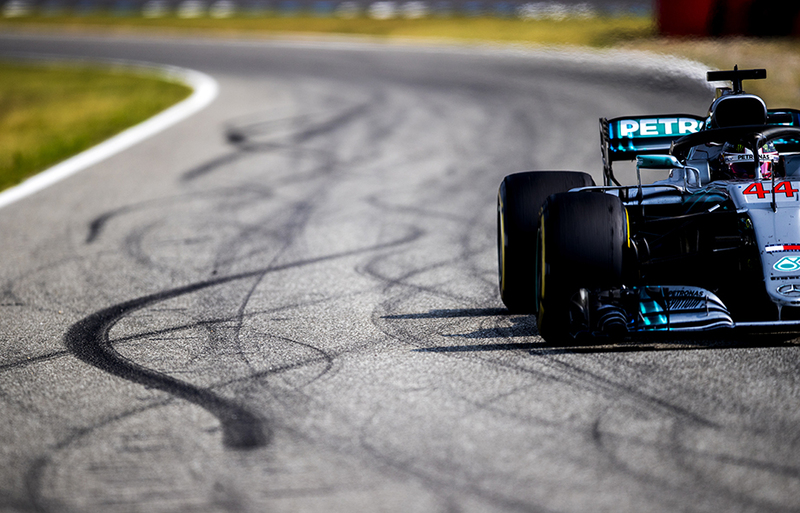 Lewis Hamilton of Great Britain and Mercedes AMG Petronas drives his W09 during practice for the German Formula One Grand Prix at Hockenheimring on July 20, 2018 in Hockenheim, Germany. 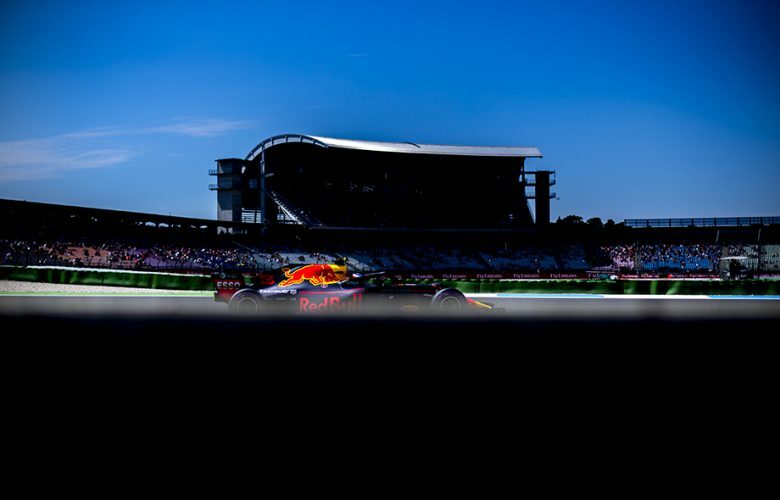 Aston Martin Red Bull Racing mechanics push Max Verstappen of Netherlands and Aston Martin Red Bull Racing back into the garage during practice for the German Formula One Grand Prix at Hockenheimring on July 20, 2018 in Hockenheim, Germany. 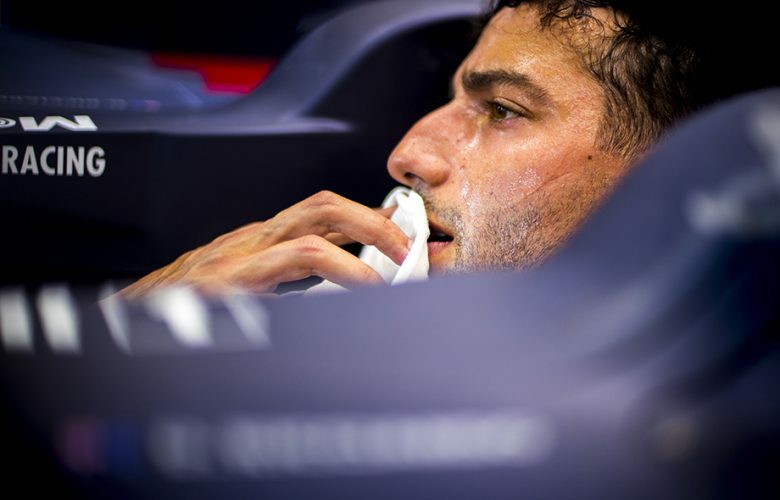 Daniel Ricciardo of Australia and Aston Martin Red Bull Racing is seen during previews for the German Formula One Grand Prix at Hockenheimring on July 19, 2018 in Hockenheim, Germany. 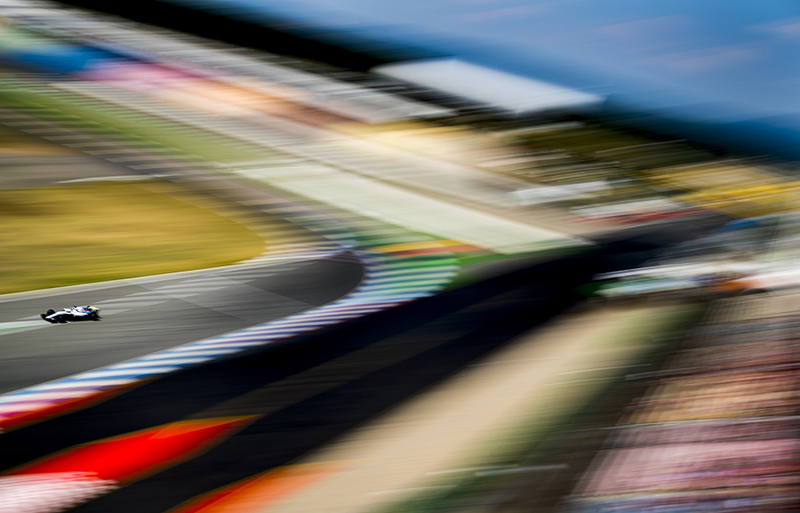 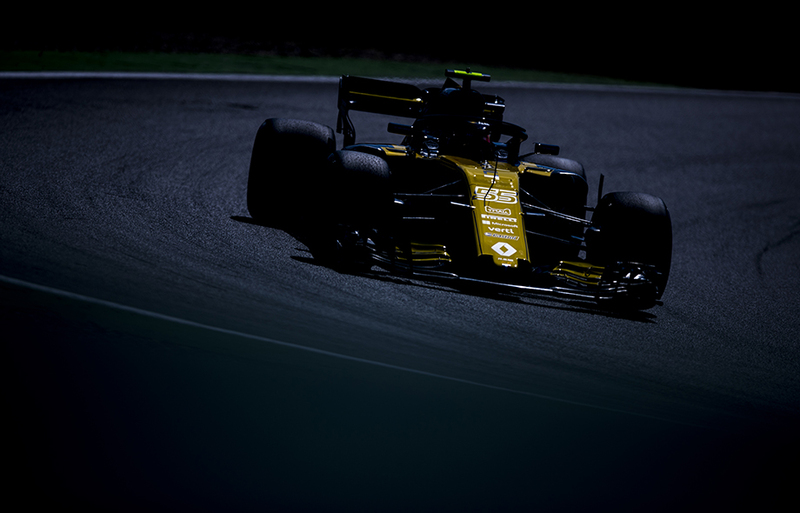 Carlos Sainz of Spain and Renault Sport Formula 1 Team drives his RS18 during practice for the German Formula One Grand Prix at Hockenheimring on July 20, 2018 in Hockenheim, Germany. 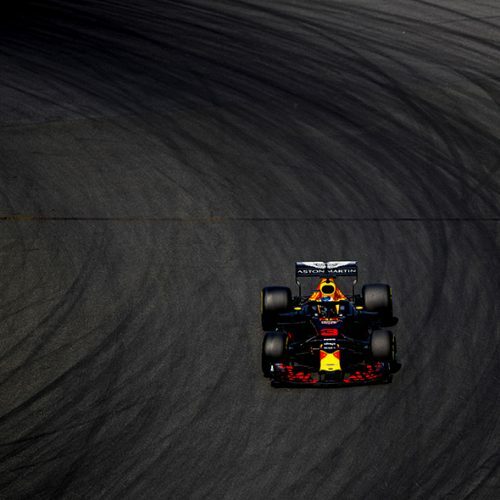 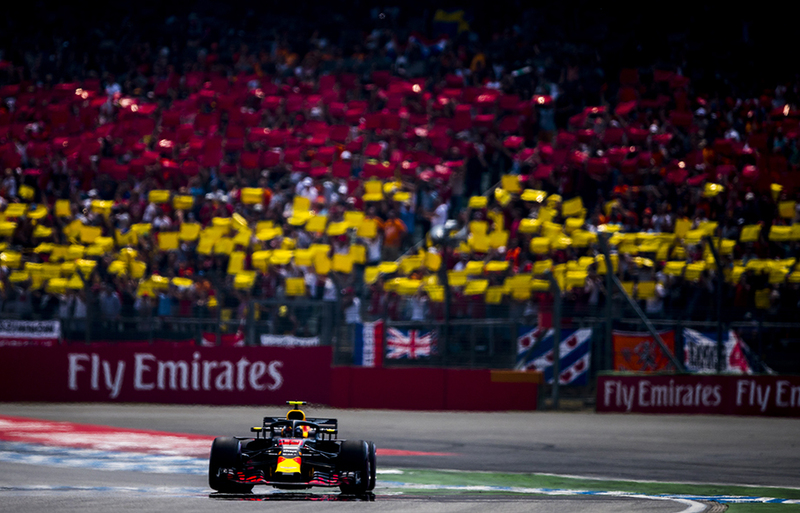 Daniel Ricciardo of Australia and Aston Martin Red Bull Racing leads his team mate Max Verstappen of Netherlands and Aston Martin Red Bull Racing during practice for the German Formula One Grand Prix at Hockenheimring on July 20, 2018 in Hockenheim, Germany. 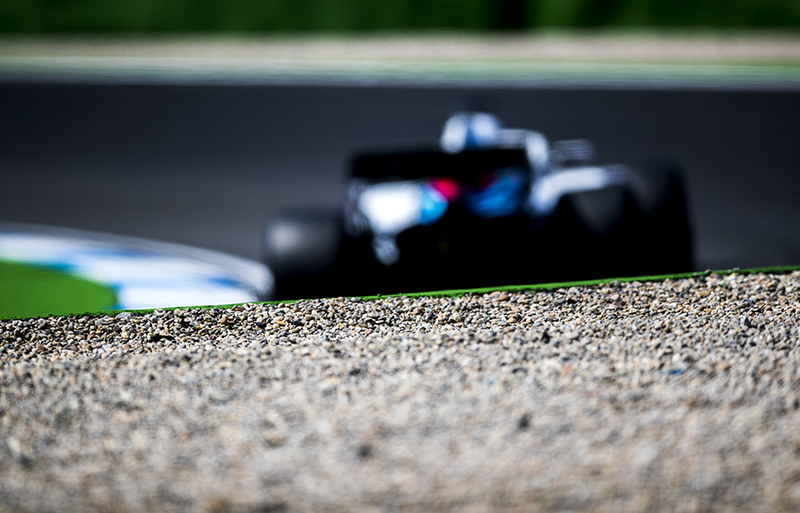 Lance Stroll of Canada and Williams Martini Racing drives his FW41 during practice for the German Formula One Grand Prix at Hockenheimring on July 20, 2018 in Hockenheim, Germany. 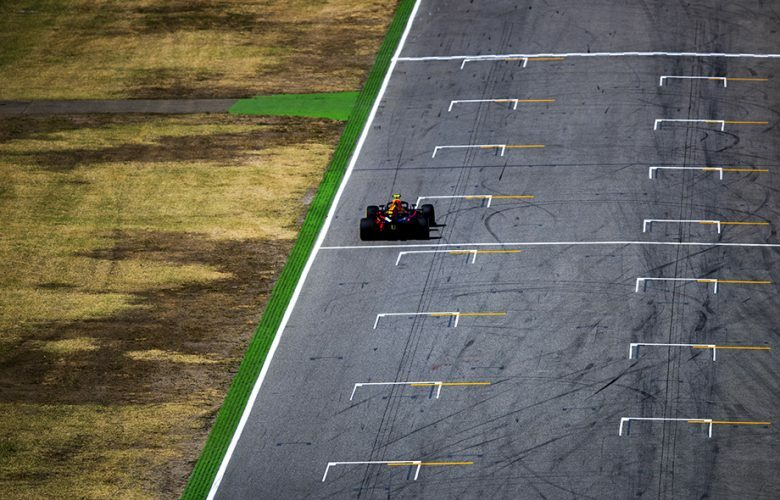 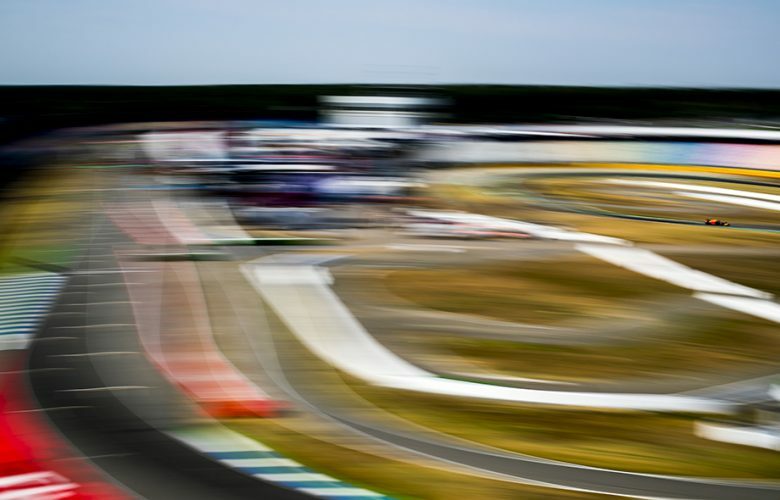 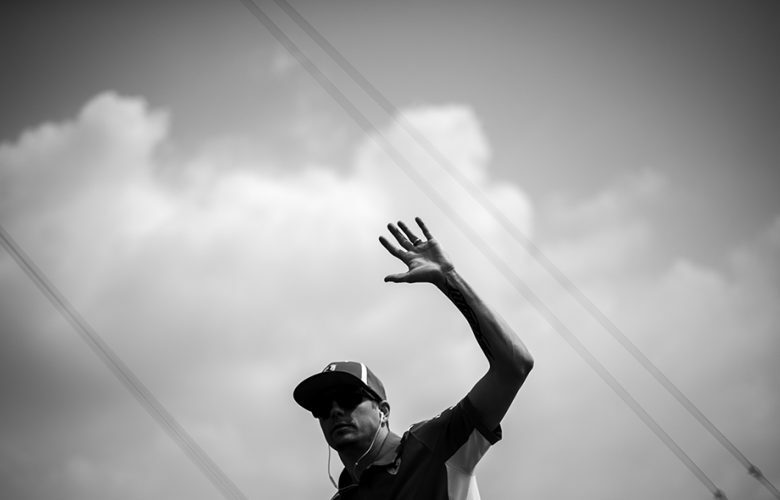 Track marshal is seen as Carlos Sainz of Spain and Renault Sport Formula 1 Team passes by during practice for the German Formula One Grand Prix at Hockenheimring on July 20, 2018 in Hockenheim, Germany. 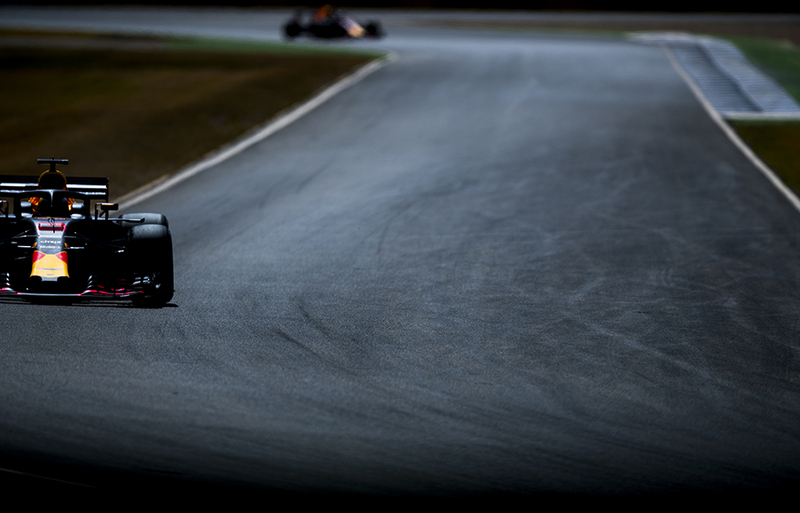 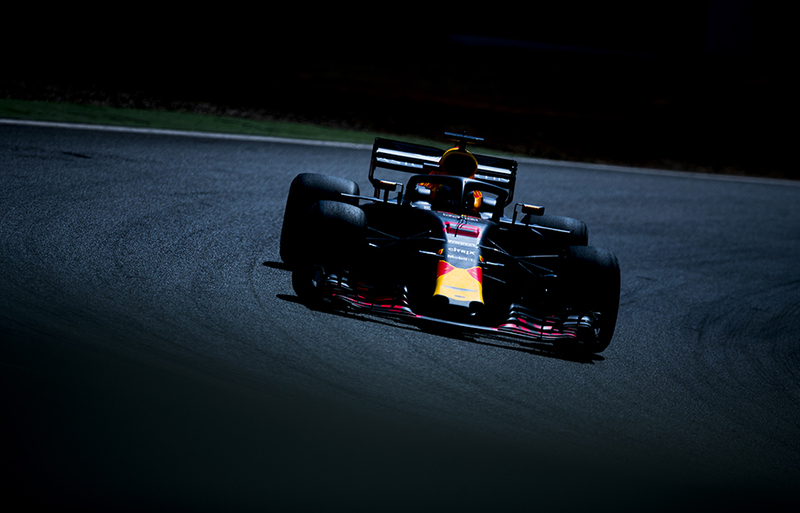 Max Verstappen of Netherlands and Aston Martin Red Bull Racing drives his RB14 during practice for the German Formula One Grand Prix at Hockenheimring on July 20, 2018 in Hockenheim, Germany. 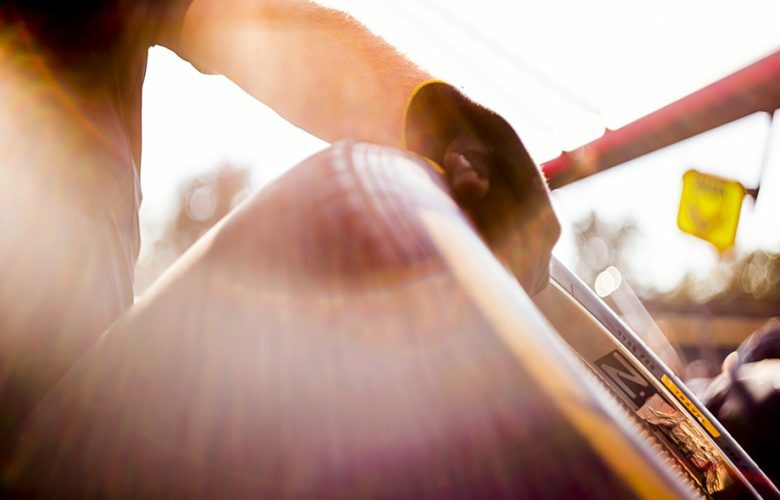 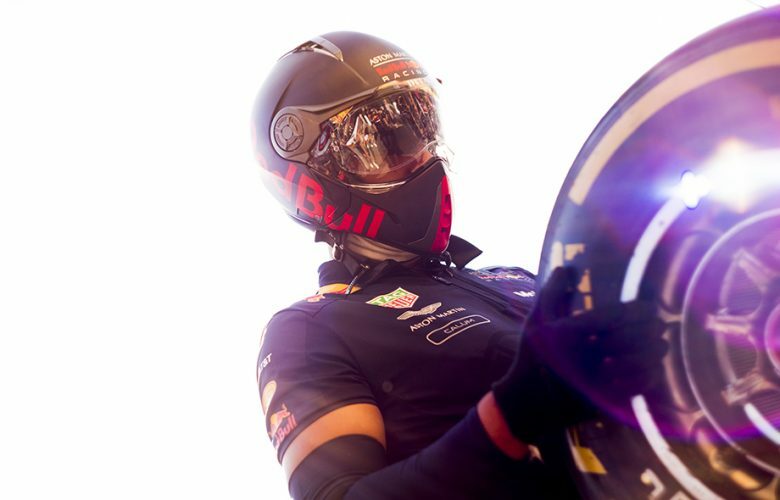 Aston Martin Red Bull Racing mechanics are seen during practice for the German Formula One Grand Prix at Hockenheimring on July 20, 2018 in Hockenheim, Germany. 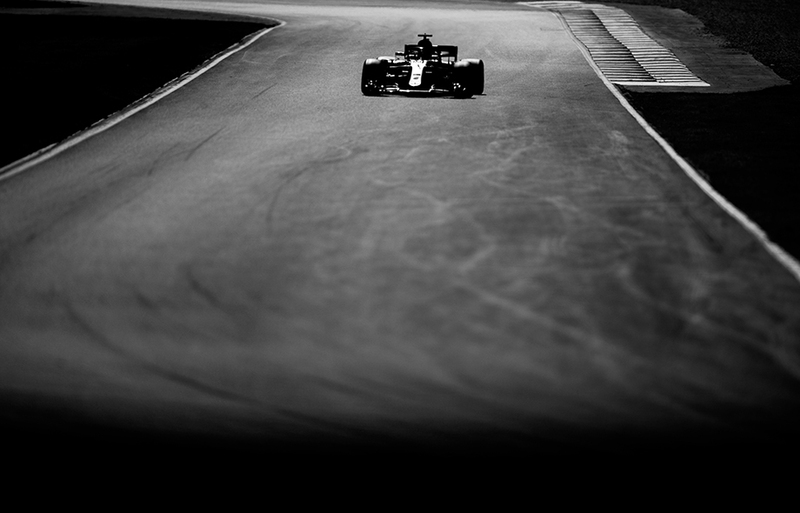 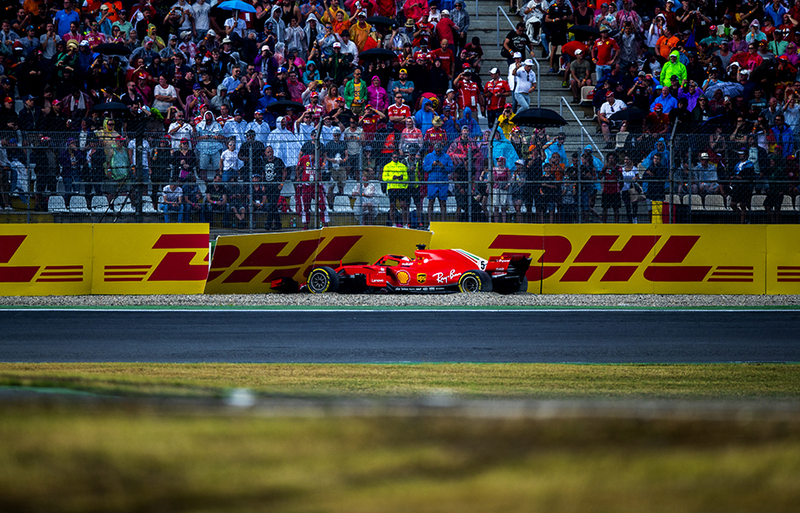 Sebastian Vettel of Germany and Scuderia Ferrari drives his SF71H during practice for the German Formula One Grand Prix at Hockenheimring on July 20, 2018 in Hockenheim, Germany. Daniel Ricciardo of Australia and Aston Martin Red Bull Racing drives his RB14 during practice for the German Formula One Grand Prix at Hockenheimring on July 20, 2018 in Hockenheim, Germany. 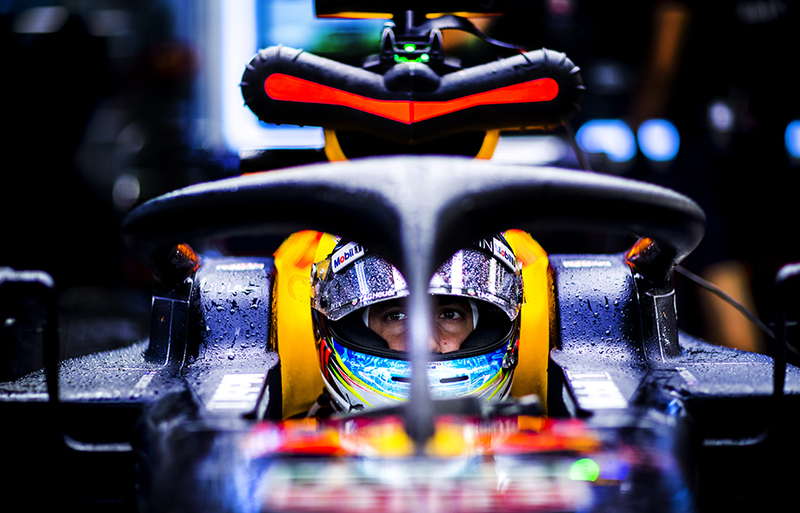 Daniel Ricciardo of Australia and Aston Martin Red Bull Racing inside his cockpit during practice for the German Formula One Grand Prix at Hockenheimring on July 20, 2018 in Hockenheim, Germany. 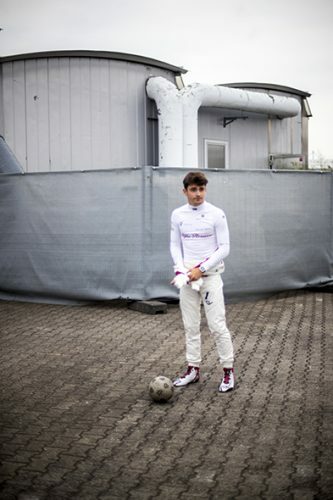 Charles Leclerc of Monaco and Alfa Romeo Sauber F1 Team is seen warming up during practice prior qualifying for the German Formula One Grand Prix at Hockenheimring on July 21, 2018 in Hockenheim, Germany. 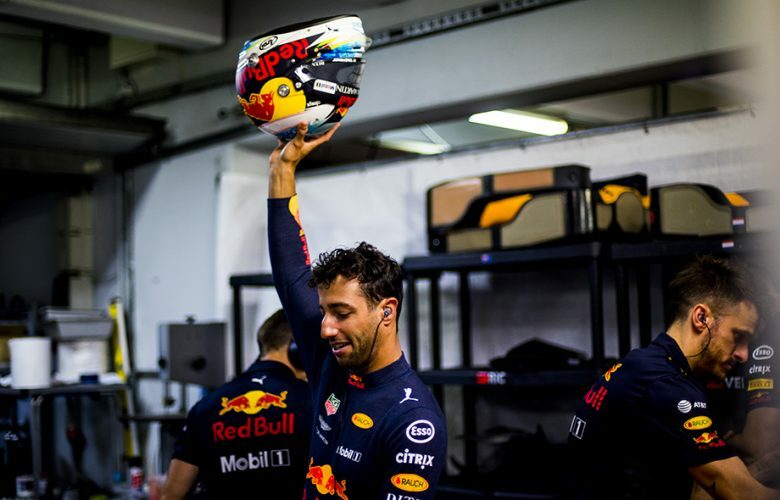 Daniel Ricciardo of Australia and Aston Martin Red Bull Racing inside his garage during practice prior qualifying for the German Formula One Grand Prix at Hockenheimring on July 21, 2018 in Hockenheim, Germany. Daniel Ricciardo of Australia and Aston Martin Red Bull Racing inside his cockpit during practice prior qualifying for the German Formula One Grand Prix at Hockenheimring on July 21, 2018 in Hockenheim, Germany. Drops of rain on the visor of Max Verstappen of Netherlands and Aston Martin Red Bull Racing are seen during practice prior qualifying for the German Formula One Grand Prix at Hockenheimring on July 21, 2018 in Hockenheim, Germany. 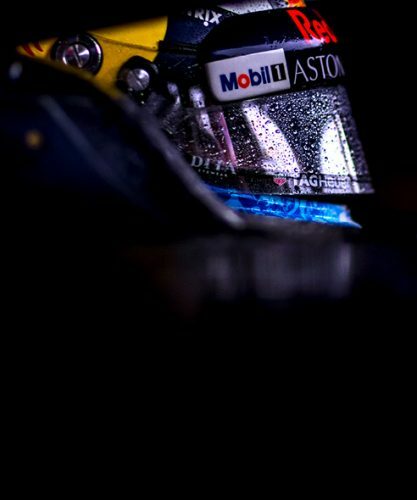 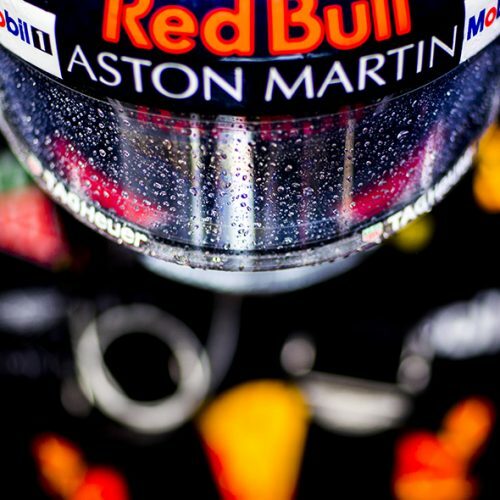 Daniel Ricciardo of Australia and Aston Martin Red Bull Racing inside the garage with drops of rain on his visor during practice prior qualifying for the German Formula One Grand Prix at Hockenheimring on July 21, 2018 in Hockenheim, Germany. 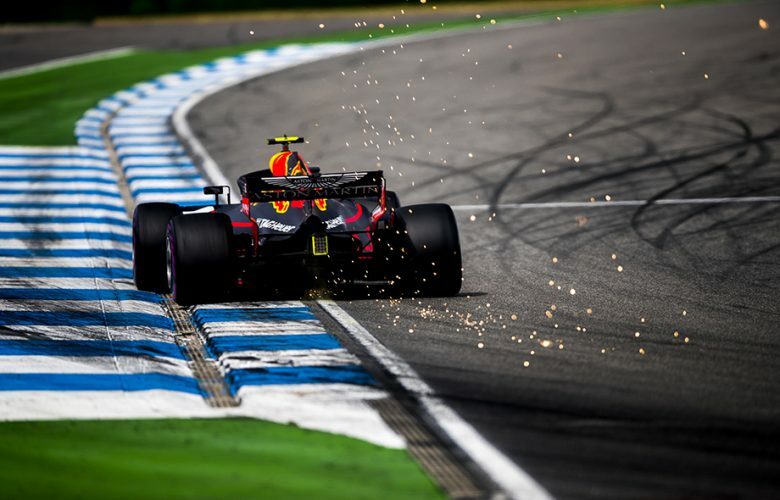 Sparks come off the RB14 of Max Verstappen of Netherlands and Aston Martin Red Bull Racing during qualifying prior qualifying for the German Formula One Grand Prix at Hockenheimring on July 21, 2018 in Hockenheim, Germany. 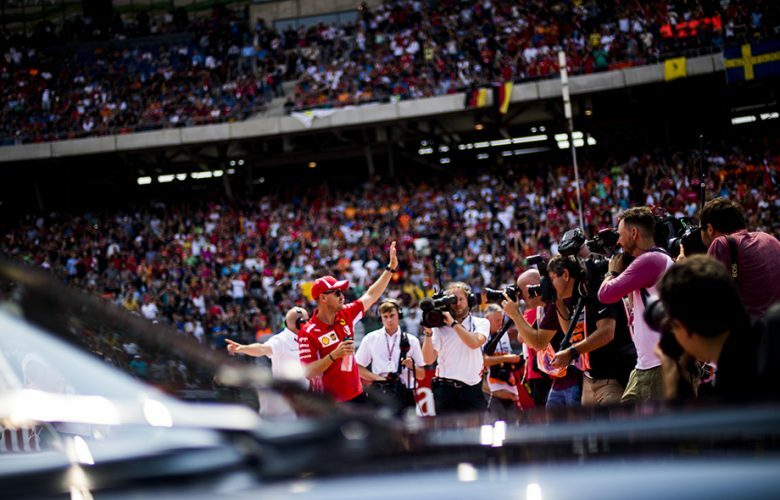 Ferrari fans celebrate the pole position of Sebastian Vettel of Germany and Scuderia Ferrari during qualifying prior qualifying for the German Formula One Grand Prix at Hockenheimring on July 21, 2018 in Hockenheim, Germany. 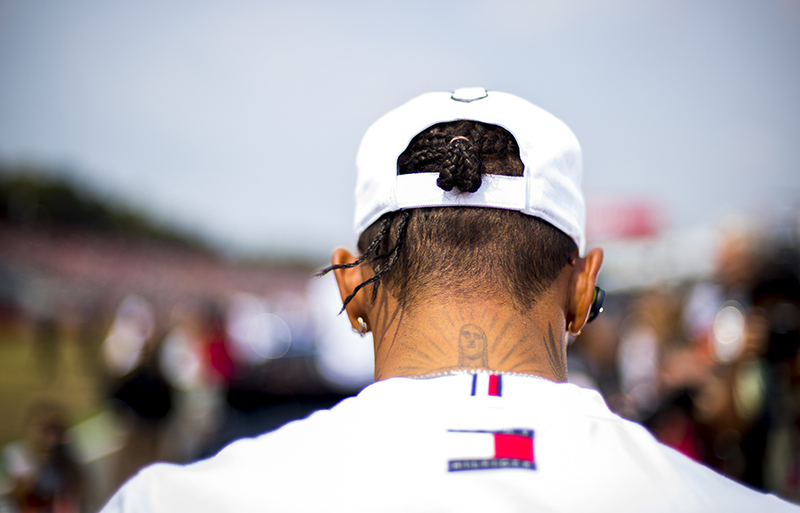 Lewis Hamilton of Great Britain and Mercedes AMG Petronas is seen on the grid during the German Formula One Grand Prix at Hockenheimring on July 22, 2018 in Hockenheim, Germany. Kimi Raikkonen of Finland and Scuderia Ferrari is seen during driver's parade prior to the German Formula One Grand Prix at Hockenheimring on July 22, 2018 in Hockenheim, Germany. 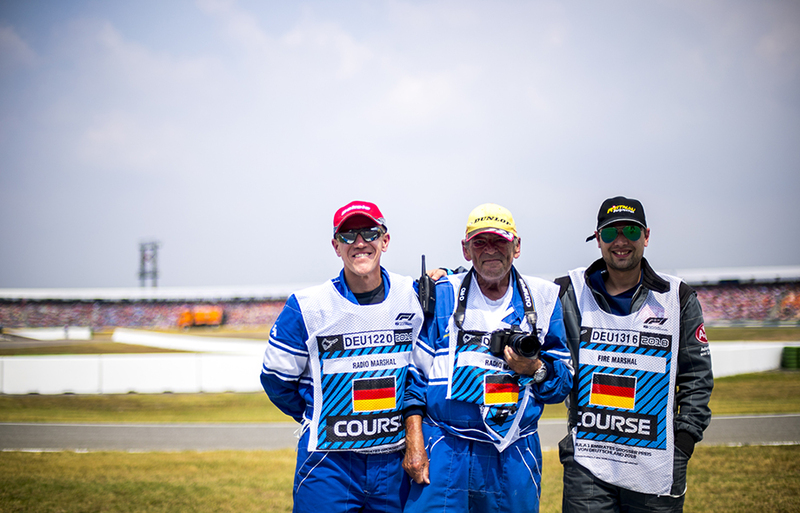 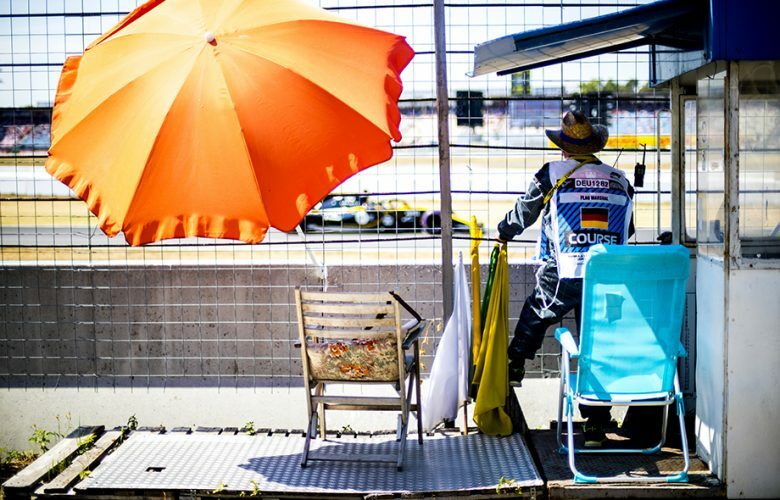 Track marshals are seen ahead of the German Formula One Grand Prix at Hockenheimring on July 22, 2018 in Hockenheim, Germany. 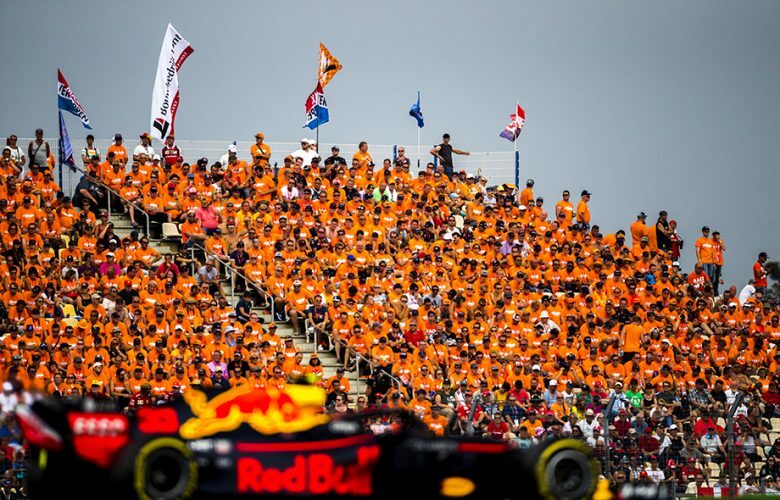 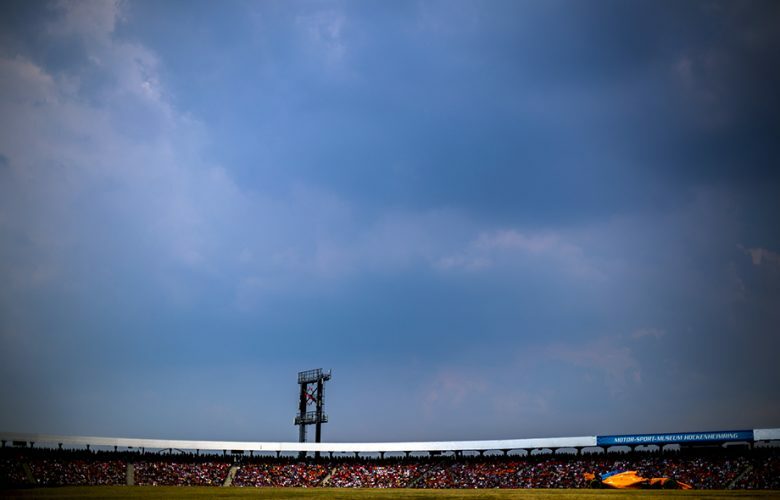 Fans of Max Verstappen of Netherlands and Aston Martin Red Bull Racing are pictured during the German Formula One Grand Prix at Hockenheimring on July 22, 2018 in Hockenheim, Germany. Lewis Hamilton of Great Britain and Mercedes AMG Petronas takes a video with his mobile phone during driver's parade prior to the German Formula One Grand Prix at Hockenheimring on July 22, 2018 in Hockenheim, Germany. Sebastian Vettel of Germany and Scuderia Ferrari acknowledges the fans during driver's parade prior to the German Formula One Grand Prix at Hockenheimring on July 22, 2018 in Hockenheim, Germany. 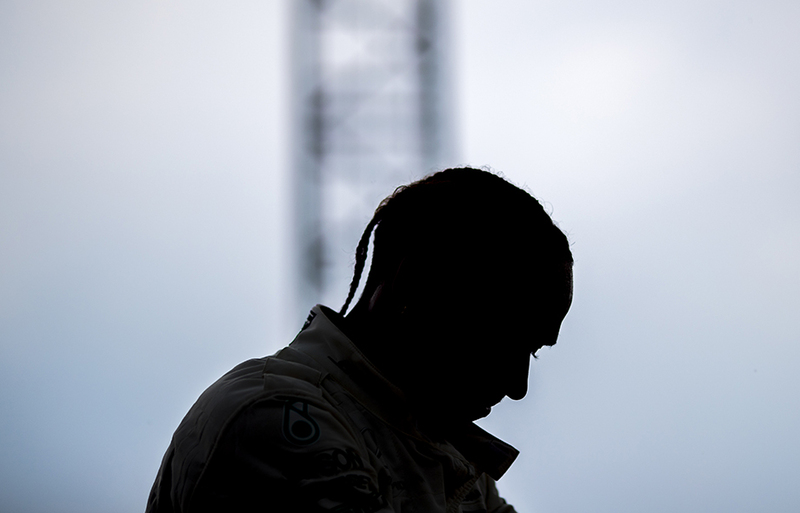 Lewis Hamilton of Great Britain and Mercedes AMG Petronas is seen on the grid prior to the German Formula One Grand Prix at Hockenheimring on July 22, 2018 in Hockenheim, Germany. 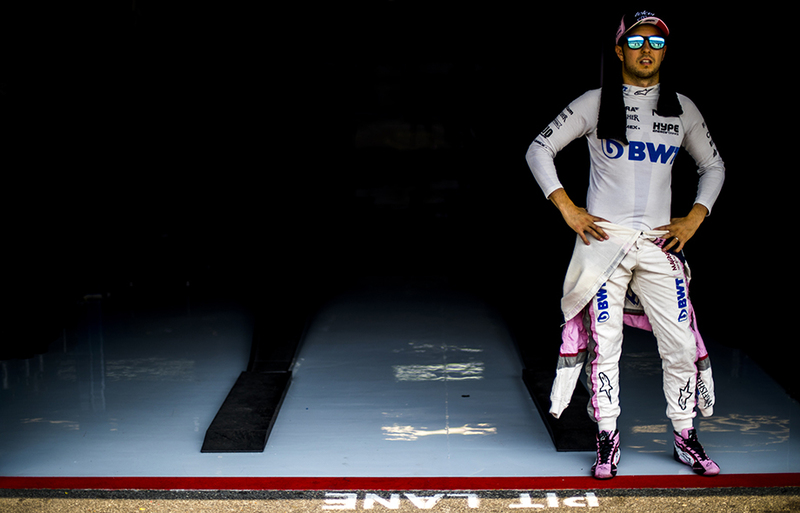 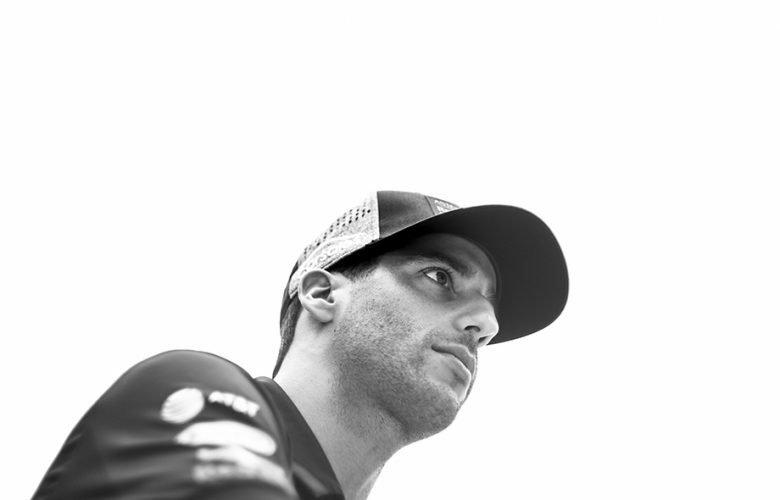 Sergio Perez of Mexico and Force India is seen ahead of the German Formula One Grand Prix at Hockenheimring on July 22, 2018 in Hockenheim, Germany. Max Verstappen of Netherlands and Aston Martin Red Bull Racing arrives on the grid prior to the German Formula One Grand Prix at Hockenheimring on July 22, 2018 in Hockenheim, Germany. 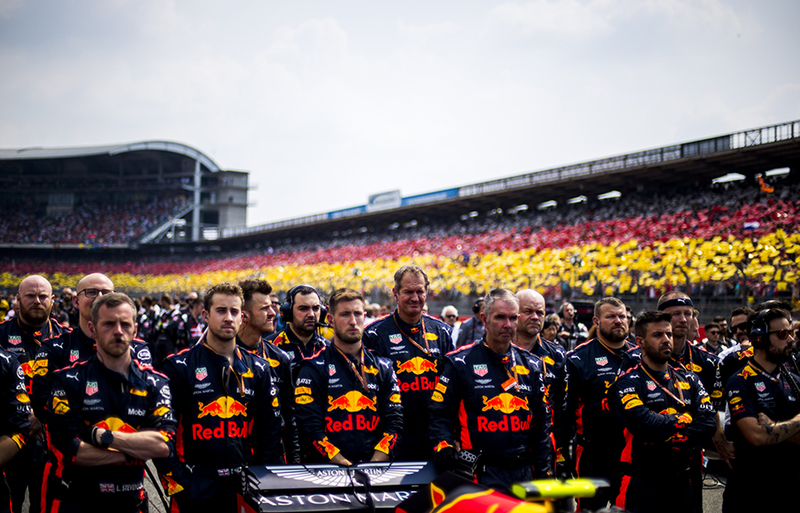 Aston Martin Red Bull Racing mechanics stand for German national anthem during the German Formula One Grand Prix at Hockenheimring on July 22, 2018 in Hockenheim, Germany. 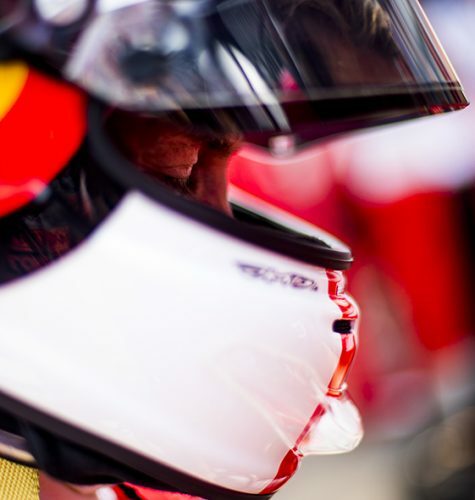 Sebastian Vettel of Germany and Scuderia Ferrari closes his eyes as he puts on his crash helmet ahead of the German Formula One Grand Prix at Hockenheimring on July 22, 2018 in Hockenheim, Germany. 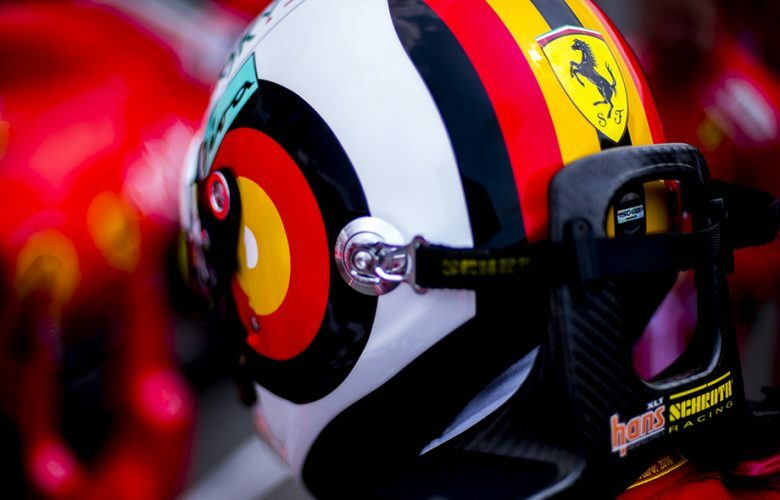 Sebastian Vettel of Germany and Scuderia Ferrari puts on his crash helmet prior to the German Formula One Grand Prix at Hockenheimring on July 22, 2018 in Hockenheim, Germany. 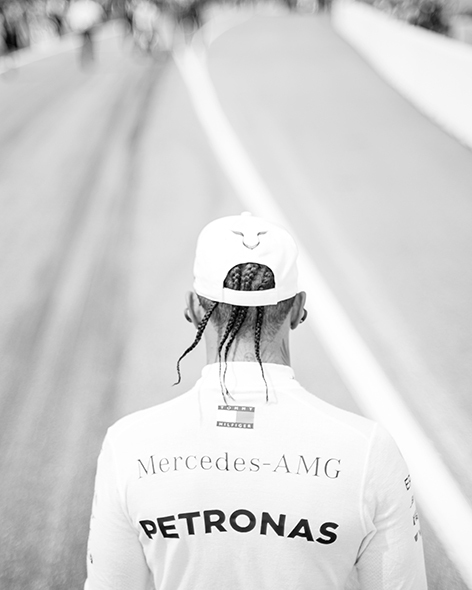 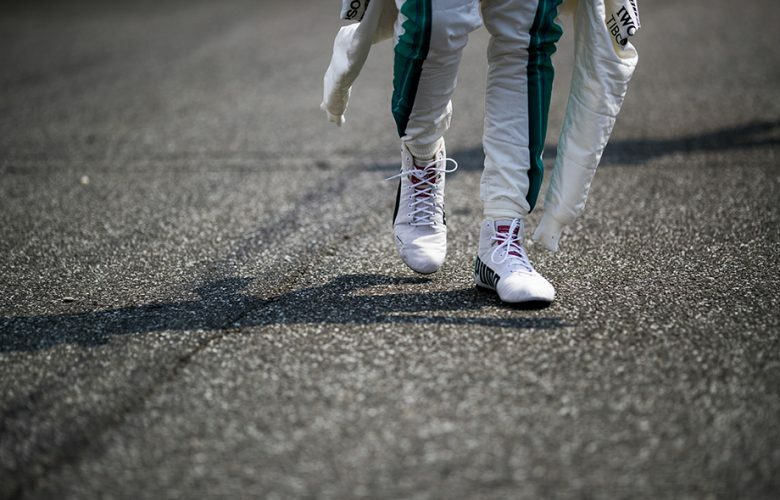 Lewis Hamilton of Great Britain and Mercedes AMG Petronas walks in the pitlane ahead of the German Formula One Grand Prix at Hockenheimring on July 22, 2018 in Hockenheim, Germany. 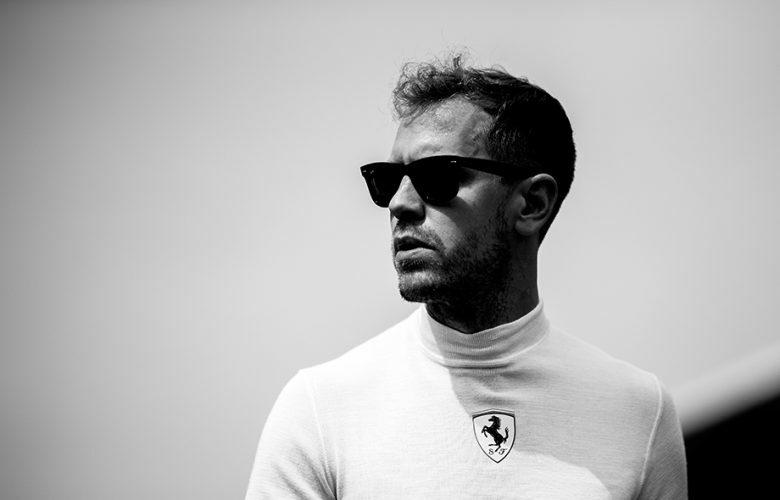 Sebastian Vettel of Germany and Scuderia Ferrari is pictured on the grid ahead of the German Formula One Grand Prix at Hockenheimring on July 22, 2018 in Hockenheim, Germany. 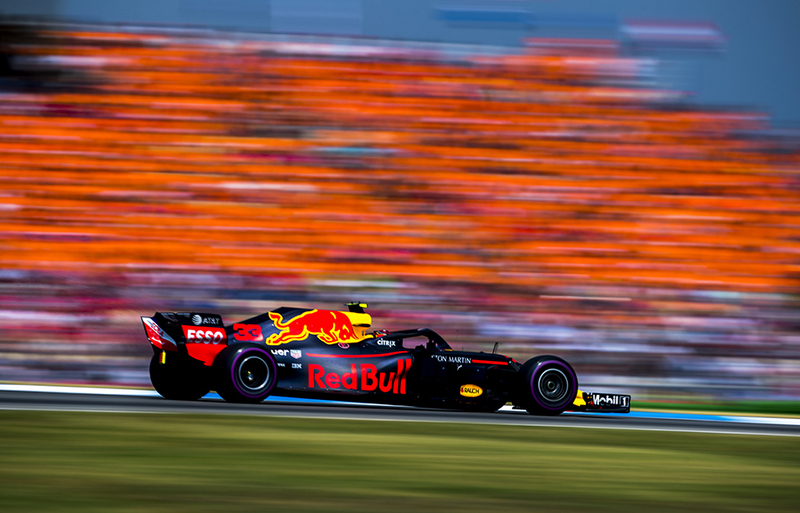 Max Verstappen of Netherlands and Aston Martin Red Bull Racing drives his RB14 during the German Formula One Grand Prix at Hockenheimring on July 22, 2018 in Hockenheim, Germany. 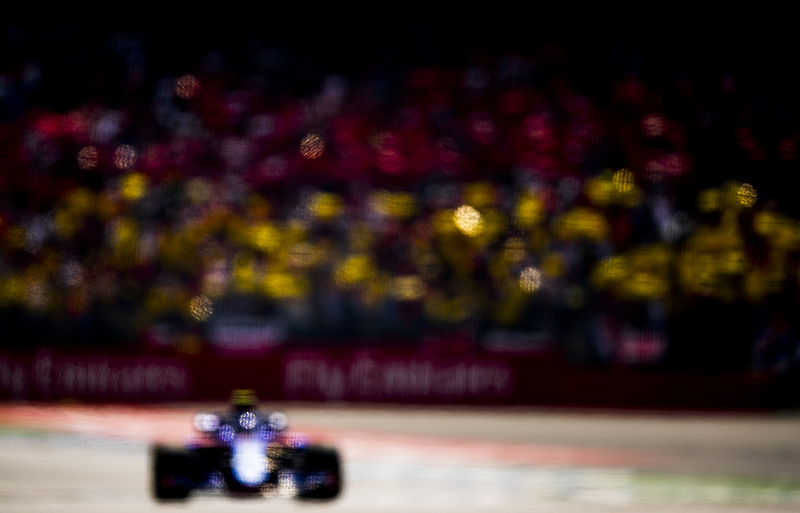 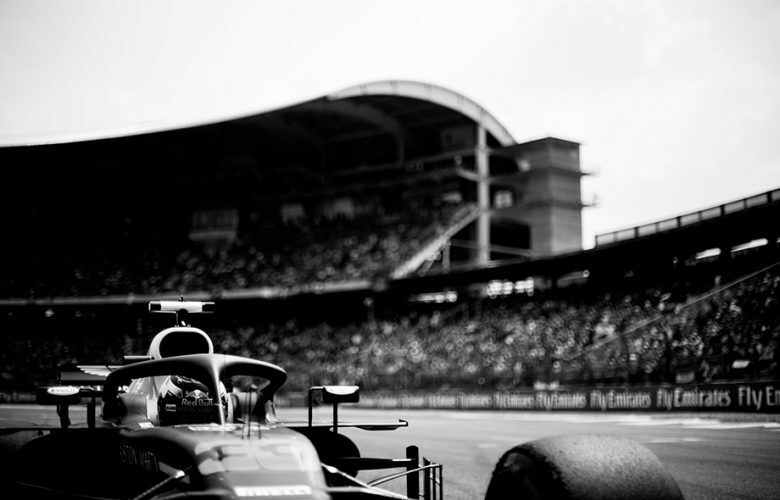 Pierre Gasly of France and Scuderia Toro Rosso drives his STR13 during the German Formula One Grand Prix at Hockenheimring on July 22, 2018 in Hockenheim, Germany. 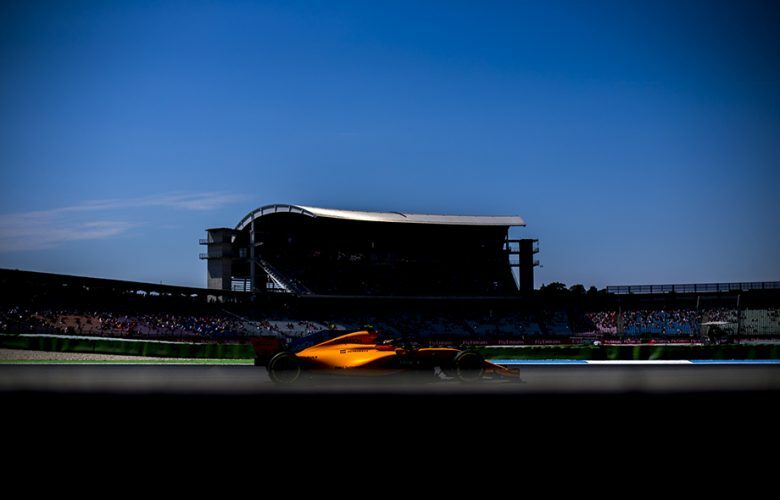 Fernando Alonso of Spain and McLaren drives his MCL33 during the German Formula One Grand Prix at Hockenheimring on July 22, 2018 in Hockenheim, Germany. 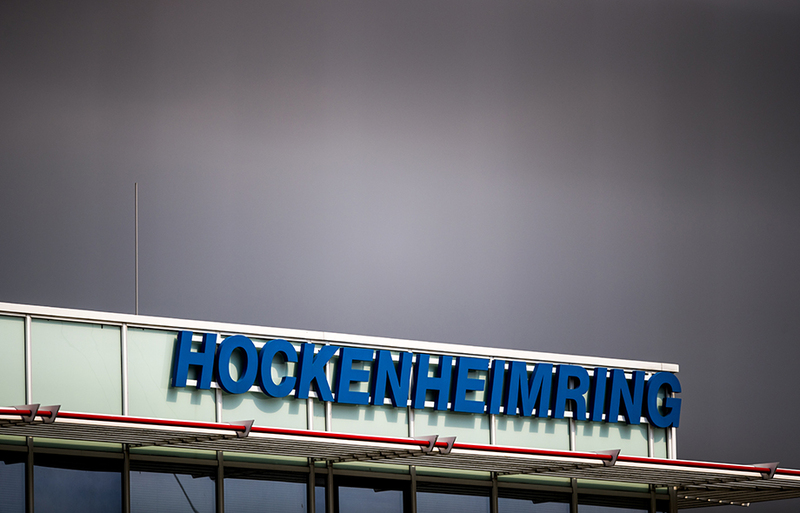 Hockenheimring name is seen at the top of a pitlane building during the German Formula One Grand Prix at Hockenheimring on July 22, 2018 in Hockenheim, Germany. 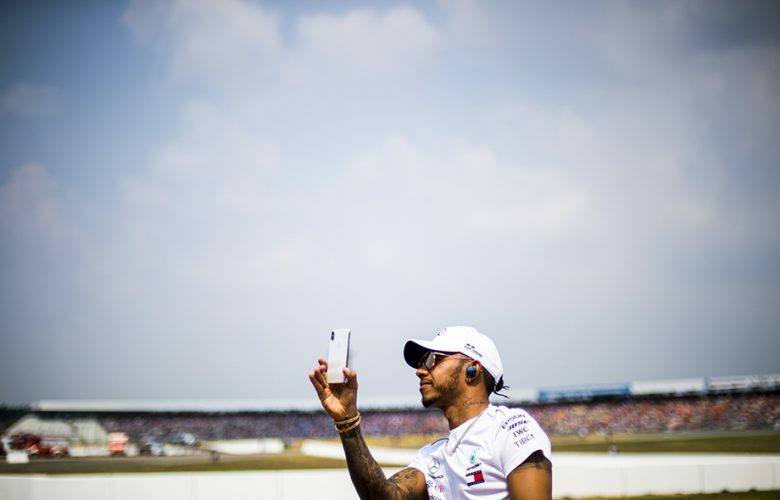 Lewis Hamilton of Great Britain and Mercedes AMG Petronas drives in for a pitstop during the German Formula One Grand Prix at Hockenheimring on July 22, 2018 in Hockenheim, Germany. 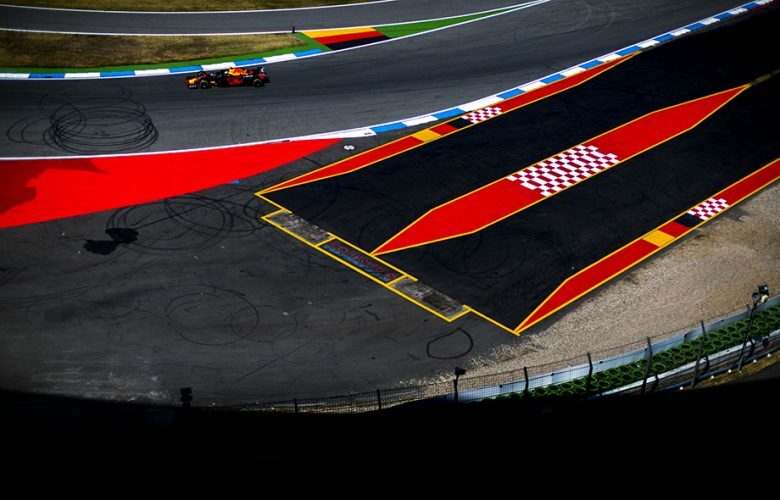 Sebastian Vettel of Germany and Scuderia Ferrari crashes into a tyre barrier during the German Formula One Grand Prix at Hockenheimring on July 22, 2018 in Hockenheim, Germany. Fans of Max Verstappen of Netherlands and Aston Martin Red Bull Racing are pictured as Verstappen passes by during the German Formula One Grand Prix at Hockenheimring on July 22, 2018 in Hockenheim, Germany. 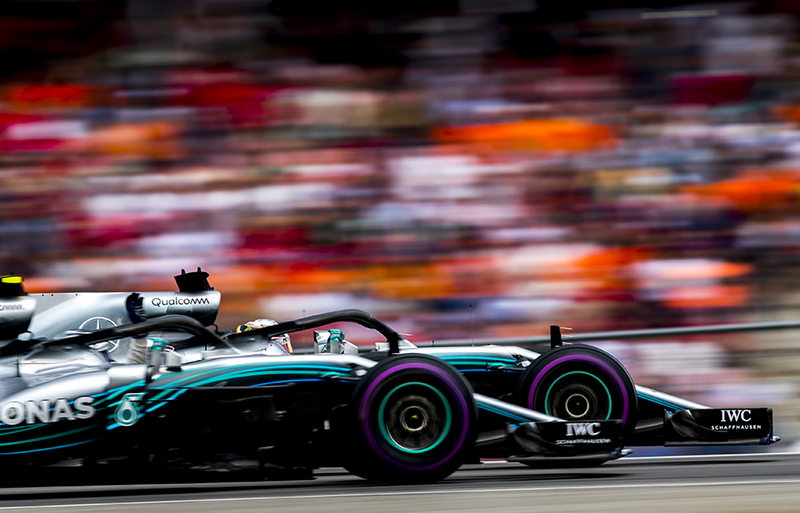 Lewis Hamilton of Great Britain and Mercedes AMG Petronas finishing first drives side by side with his team mate Valtteri Bottas of Finland and Mercedes AMG Petronas finishing second during the German Formula One Grand Prix at Hockenheimring on July 22, 2018 in Hockenheim, Germany. 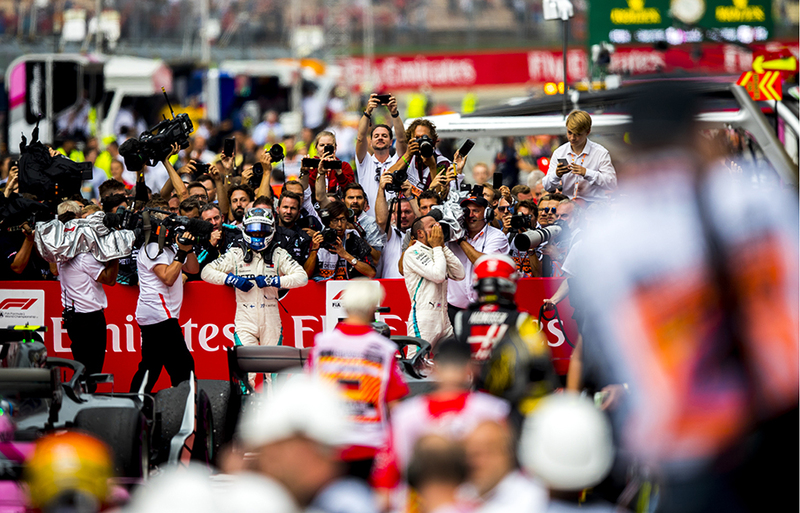 Lewis Hamilton of Great Britain and Mercedes AMG Petronas reacts after winning the German Formula One Grand Prix at Hockenheimring as his team mate Valtteri Bottas of Finland and Mercedes AMG Petronas acknowledges his team on July 22, 2018 in Hockenheim, Germany. 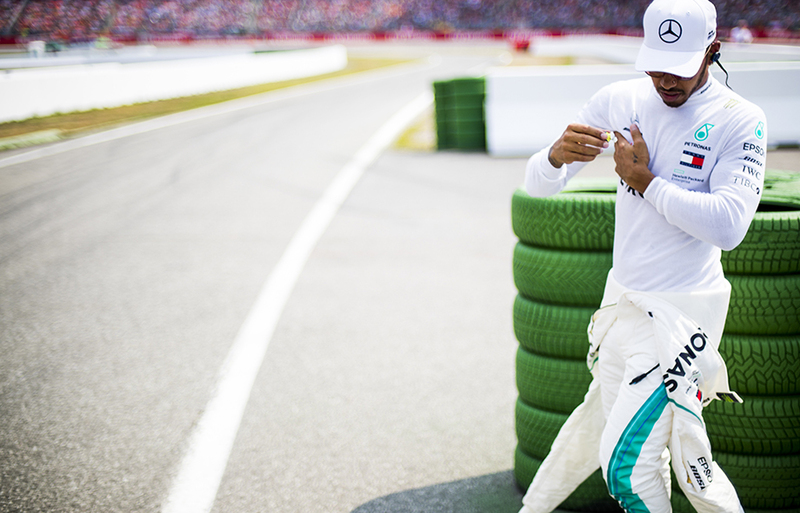 Lewis Hamilton of Great Britain and Mercedes AMG Petronas celebrates on a pitwall after winning the German Formula One Grand Prix at Hockenheimring on July 22, 2018 in Hockenheim, Germany. 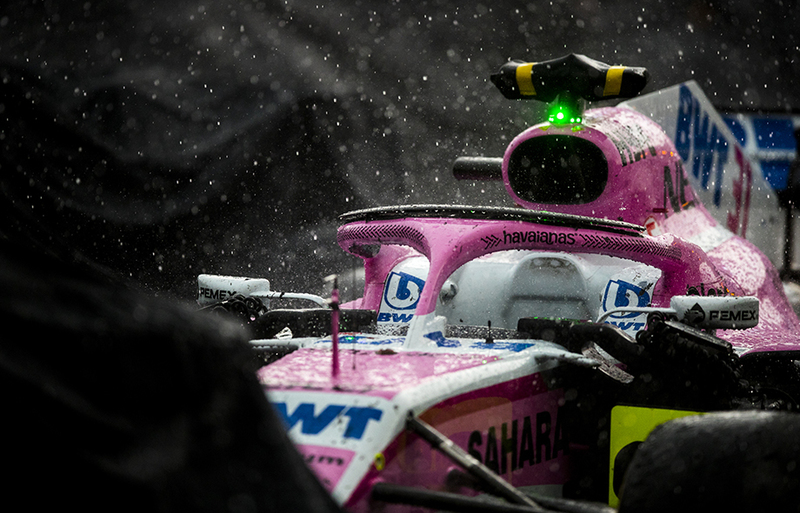 Heavy rain comes down on the the car of Esteban Ocon of France and Force India parked in Parc Ferme as the race is over following the German Formula One Grand Prix at Hockenheimring on July 22, 2018 in Hockenheim, Germany. 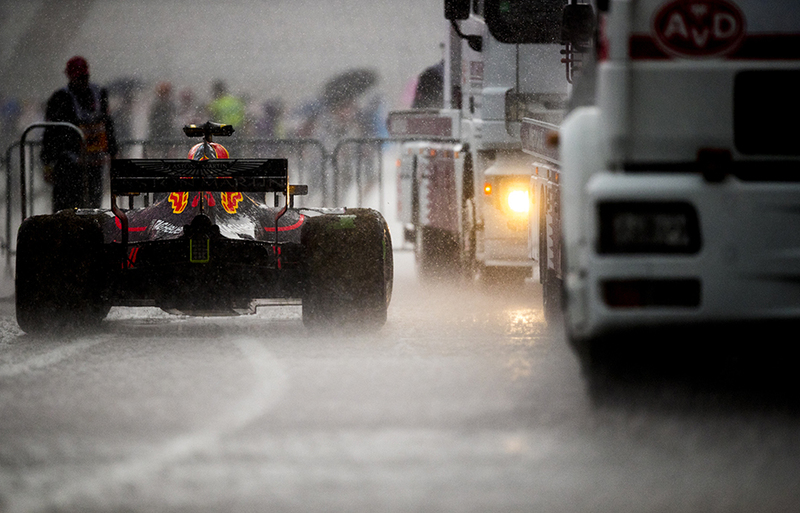 The RB14 of Daniel Ricciardo of Australia and Aston Martin Red Bull Racing stands in a heavy rain following the German Formula One Grand Prix at Hockenheimring on July 22, 2018 in Hockenheim, Germany. 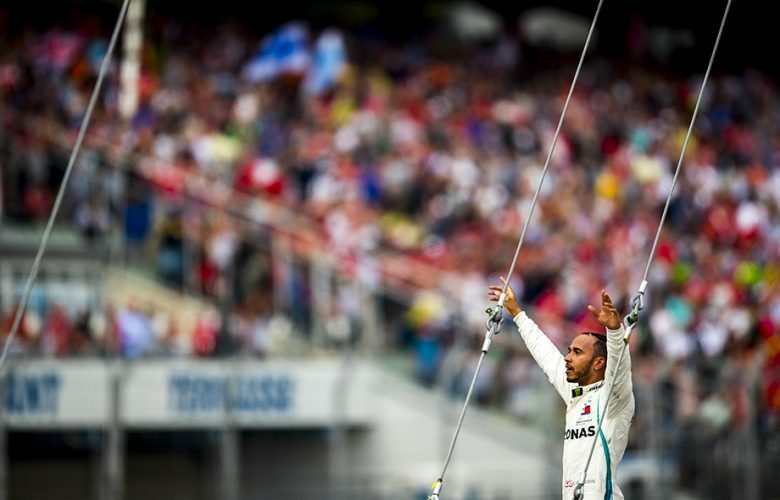 Lewis Hamilton of Great Britain and Mercedes AMG Petronas acknowledges his fans following his win during the German Formula One Grand Prix at Hockenheimring on July 22, 2018 in Hockenheim, Germany.